[S206] With additions and corrections by Walter Lee Sheppard, Jr. and assisted by David Faris Frederick Lewis Weis, Weis: AR 7th ed., Line 261.35. [S206] With additions and corrections by Walter Lee Sheppard, Jr. and assisted by David Faris Frederick Lewis Weis, Weis: AR 7th ed., Line 261.34. [S1058] e-mail address (e-mail address), Re: Lurkers : William Marshal in "Re: Lurkers : William Marshal," newsgroup message 1998/12/03. [S215] Revised by others later George Edward Cokayne CP, XII/2:544. [S245] LDS, Ancestral File # 8MM0-2V. [S206] With additions and corrections by Walter Lee Sheppard, Jr. and assisted by David Faris Frederick Lewis Weis, Weis: AR 7th ed., 205-33. [S206] With additions and corrections by Walter Lee Sheppard, Jr. and assisted by David Faris Frederick Lewis Weis, Weis: AR 7th ed., 161-30. [S484] Peter Townend, B:P, 105th, pg. 10-11 - Abergavenny. [S681] Jiri Louda and Michael MacLagan, Louda & MacLagan, 1981, table #3. [S1203] Gerard J. Brault, Rolls of Arms (1272-1307), Falkirk Roll. [S1203] Gerard J. Brault, Rolls of Arms (1272-1307), Falkirk Roll, Ha #98, pg. 415. [S693] TH.D. Frederick Lewis Weis, Weis: MC 5th ed., pg. 22. [S674] Family Trees, A&E Family Forest. [S215] Revised by others later George Edward Cokayne CP, VIII:143. Mother Mahaut de Trie, dame de St. Aubin2 b. circa 1285? [S435] Pere Anselme de Sainte-Marie (augustin déchaussé), Pere Anselme's Histoire, 1st Ed., II:169. [S467] GdRdF, online http://jeanjacques.villemag.free.fr/, La Noblesse - Vergy. [S1345] Anselme de Sainte-Marie (augustin déchaussé), Pere Anselme's Histoire, 3rd Ed., VII:34. [S1261] MTaHT (e-mail address) Mike Talbot, Re: Gaspar de Coligny in "Re: Gaspar de Coligny," newsgroup message 1998/11/11, 66. [S467] GdRdF, online http://jeanjacques.villemag.free.fr/, La Noblesse - Vienne. Arms: (as Cadnor) Barry of six argent and azure in chief three torteaux.4 Roger, 1st Baron Grey of Ruthin was born in 1290 at Ruthin, Denbighshire, Wales.1 He was the son of John, 2nd Baron Grey of Wilton and Maud de Verdun.2,3 Roger, 1st Baron Grey of Ruthin married Elizabeth Hastings, daughter of John, 1st Lord Hastings and Isabel de Valence, between 1310 and 1315 at Ruthin, Denbighshire, Wales.5 Roger, 1st Baron Grey of Ruthin died on 6 March 1352/53 at Ruthin, Denbighshire, Wales, at age 63 years. [S1388] Tudor Place, online http://www.tudorplace.com.ar/index.htm, Grey3. [S1388] Tudor Place, online http://www.tudorplace.com.ar/index.htm, Grey2. [S1522] Douglas Richardson, Plantagenet Ancestry, pg. 206. [S1216] C.B., L.L.D., Ulster King of Arms Sir John Bernard Burke, B:GA, pg. 427. [S1388] Tudor Place, online http://www.tudorplace.com.ar/index.htm, Hastings1. [S484] Peter Townend, B:P, 105th, pg. 1913 - Barony of Segrave. [S217] Transcribed by Colin Hinson, English Peerage (to 1790), "1353" but says John was third lord Segrave. [S1522] Douglas Richardson, Plantagenet Ancestry, pg. 198. [S1185] British Families, FTM CD 367 (Burkes), GHHC, Vol 1, pg. 27. [S1216] C.B., L.L.D., Ulster King of Arms Sir John Bernard Burke, B:GA, pg. 189. 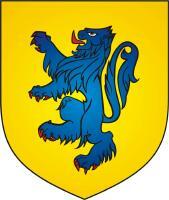 [S603] C.B., LL.D., Ulster King of Arms Sir Bernard Burke, B:xP, pg. 115. [S1401] GdDI, online www.sardimpex.com\index.htm, Orsini Antichi. [S1397] Marlyn Lewis, AEY, 252. [S1397] Marlyn Lewis, AEY, 253. [S1397] Marlyn Lewis, AEY, 126. [S15] Brian Tompsett, Ged File. [S1016] . D-E Italiano, XII, pg. 802. Elizabeth de Montfort was the daughter of Sir Piers de Montfort of Beaudesert and Maud de la Mare. Elizabeth de Montfort was daughter of Peter lord Montfort of Beaudesert in the County of Warwick.1 She married William, Lord Montagu, son of Simon, Lord Montagu and Hawise de St. Amand. Elizabeth de Montfort died in 1354. 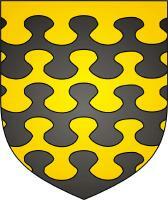 [S1107] B:LG: Scottish Royal Lineage, online http://www.burkes-landed-gentry.com/contents/static/…, part 3 of 6. [S1664] Unknown subject, Encyclopædia Britannica 2006, Albany, Robert Stewart, 1st duke of..
[S658] Alison Weir, Weir's BRF, The Angevin or Plantagenet Kings of England, pg. 99. [S682] D.S.O. Lt.-Col. W. H. Turton, Turton, pg. 35. [S681] Jiri Louda and Michael MacLagan, Louda & MacLagan, 1981, table #48. [S862] Various EB CD 2001, "Brabant.". Father Stephen, 2nd Baron Burghersh1 b. circa 1270? [S603] C.B., LL.D., Ulster King of Arms Sir Bernard Burke, B:xP, pg. 92. 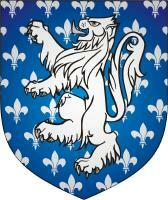 [S603] C.B., LL.D., Ulster King of Arms Sir Bernard Burke, B:xP, pg. 548. Father Pedro Fernandez de Castro1 b. circa 1295? Mother Beatrice (? )1 b. circa 1290? [S1301] Text by Michael MacLagan tables by Jiri Loudan, Louda & MacLagan, 2002, table 92. [S660] Pas on Fernando II, online http://worldroots.clicktron.com/brigitte/famous/f/…, 23. [S660] Pas on Fernando II, online http://worldroots.clicktron.com/brigitte/famous/f/…, 22-23. [S660] Pas on Fernando II, online http://worldroots.clicktron.com/brigitte/famous/f/…, 11. [S215] Revised by others later George Edward Cokayne CP, III:343. [S844] D.Sc. Esmé Wingfield-Stratford, Lords of Cobham, pg. 47. [S844] D.Sc. Esmé Wingfield-Stratford, Lords of Cobham. [S1014] Reverend Herbert Haines (1826-1872), Haine's Brasses, pg. 95. [S270] C. W. Previté-Orton sCMH II, pg. 888-889, genealogy table 23, England in the Later Middle Ages. [S862] Various EB CD 2001, Stefan Dusan. [S940] History and Numismatics, online http://www.wegm.com/coins/index.htm, STEFAN UROS IV DUSAN. 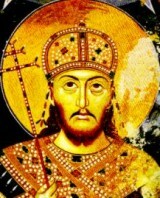 [S940] History and Numismatics, online http://www.wegm.com/coins/index.htm, STEFAN UROS III DECANSKI. [S941] Serbia.com, online http://www.serbia-info.com/enc/index.html, Medieval Serbia, 7th-14th Century. [S862] Various EB CD 2001, Nemanjic dynasty (Balkan hist.) . Mother Eve Bulmer1 b. circa 1277? Joan Fourneys b. circa 1339? 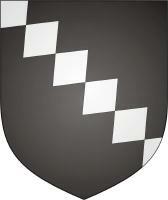 [S603] C.B., LL.D., Ulster King of Arms Sir Bernard Burke, B:xP, pg. 207. [S1388] Tudor Place, online http://www.tudorplace.com.ar/index.htm, Fitzhugh. [S1388] Tudor Place, online http://www.tudorplace.com.ar/index.htm, Scrope. [S215] Revised by others later George Edward Cokayne CP, XII\1:612. Eve Bulmer b. circa 1277? [S1265] Genealogy.eu, online genealogy.euweb.cz, Welfen 3. [S1480] Geneajourney.com, online http://www.geneajourney.com/welcome.html#top, Moels of Mapperton, Somerset, England. 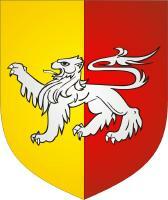 [S1480] Geneajourney.com, online http://www.geneajourney.com/welcome.html#top, Peverell of Devonshire, England. 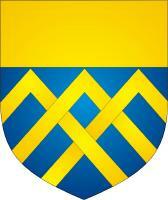 [S603] C.B., LL.D., Ulster King of Arms Sir Bernard Burke, B:xP, pg. 369. [S206] With additions and corrections by Walter Lee Sheppard, Jr. and assisted by David Faris Frederick Lewis Weis, Weis: AR 7th ed., 65-34. [S215] Revised by others later George Edward Cokayne CP, VI:472. [S429] John Sweetman, Dictionary of European Battles, pg. 168. 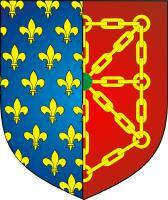 Also called Jeanne de Joinville.2 Joan de Geneville was heiress of Ludlow and its castle at Shropshire, England. She was born on 2 February 1286. 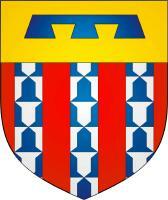 She was the daughter of Piers de Geneville, Lord of Mede, Vaucouleur, and Trim and Jeanne de Lusignan dit de la Marche.2 Joan de Geneville married Roger, 1st Earl of March, son of Edmund, 1st Baron Mortimer of Wigmore and Margaret de Fiennes, in 1301.2 Joan de Geneville died on 19 October 1356 at age 70 years, 8 months and 17 days. Katherine de Mortimer+ b. c 1310? [S206] With additions and corrections by Walter Lee Sheppard, Jr. and assisted by David Faris Frederick Lewis Weis, Weis: AR 7th ed., 71-32. [S1345] Anselme de Sainte-Marie (augustin déchaussé), Pere Anselme's Histoire, 3rd Ed., VI:697. [S206] With additions and corrections by Walter Lee Sheppard, Jr. and assisted by David Faris Frederick Lewis Weis, Weis: AR 7th ed., Line 39.31. [S658] Alison Weir, Weir's BRF, pg. 85. 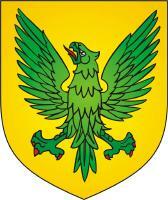 [S1265] Genealogy.eu, online genealogy.euweb.cz, Hohenzollern 1. [S215] Revised by others later George Edward Cokayne CP, VIII, Mar. [S215] Revised by others later George Edward Cokayne CP, VIII, 403. [S215] Revised by others later George Edward Cokayne CP, VIII, 404. [S450] Joaquin Veríssimo Serrão História de Portugal, pg. 401. [S660] Pas on Fernando II, online http://worldroots.clicktron.com/brigitte/famous/f/…, 82. [S1345] Anselme de Sainte-Marie (augustin déchaussé), Pere Anselme's Histoire, 3rd Ed., I:586. [S660] Pas on Fernando II, online http://worldroots.clicktron.com/brigitte/famous/f/…, 44-45. [S660] Pas on Fernando II, online http://worldroots.clicktron.com/brigitte/famous/f/…, 44. [S1301] Text by Michael MacLagan tables by Jiri Loudan, Louda & MacLagan, 2002, pg. 181. [S660] Pas on Fernando II, online http://worldroots.clicktron.com/brigitte/famous/f/…, 22. 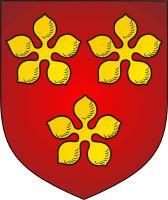 Sir James Lindsay of Crawford died circa 1358. [S693] TH.D. Frederick Lewis Weis, Weis: MC 5th ed., 1-6. [S484] Peter Townend, B:P, 105th, Kings of Scotland, pgs. lxx-lxxv. [S592] Mike Ashley, Ashley, M., Chart: 23. 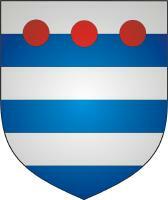 Scotland (6) - The Scottish Succession: Galloway, Comyn, Balliol, and Bruce. 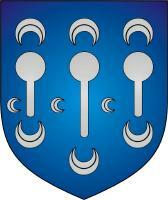 Isoude de Mountjoy b. circa 1310? [S1325] Helen M. Prescott, Prescott Chart. [S215] Revised by others later George Edward Cokayne CP, IX:331. 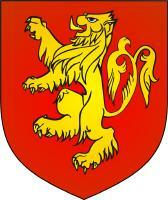 [S603] C.B., LL.D., Ulster King of Arms Sir Bernard Burke, B:xP, pg. 54. 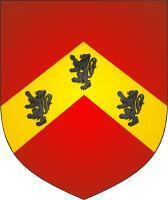 [S603] C.B., LL.D., Ulster King of Arms Sir Bernard Burke, B:xP, pg. 55. [S1401] GdDI, online www.sardimpex.com\index.htm, Sanseverino. [S1401] GdDI, online www.sardimpex.com\index.htm, Sanseverino, *1308. [S1397] Marlyn Lewis, AEY, 236. [S1401] GdDI, online www.sardimpex.com\index.htm, Sanseverino, +1358. 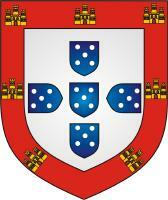 [S1185] British Families, FTM CD 367 (Burkes), BXP: pg. 588. [S1301] Text by Michael MacLagan tables by Jiri Loudan, Louda & MacLagan, 2002, table 71. [S206] With additions and corrections by Walter Lee Sheppard, Jr. and assisted by David Faris Frederick Lewis Weis, Weis: AR 7th ed., 101-31. [S204] Roderick W. Stuart, RfC, 51-23. [S1301] Text by Michael MacLagan tables by Jiri Loudan, Louda & MacLagan, 2002, table 3. [S1280] Patrick van Kerrebrouck, Capetiens 987-1328, pg. 153. [S204] Roderick W. Stuart, RfC, 2-23. [S206] With additions and corrections by Walter Lee Sheppard, Jr. and assisted by David Faris Frederick Lewis Weis, Weis: AR 7th ed., 1-29. [S434] French Royalty, online http://www.heraldica.org/topics/france/, The French Royal Family: Titles and Customs. [S271] John Martin Robinson, DoN, pg. 2. [S1345] Anselme de Sainte-Marie (augustin déchaussé), Pere Anselme's Histoire, 3rd Ed., I:102. 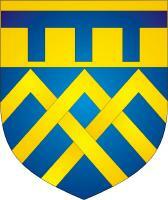 [S603] C.B., LL.D., Ulster King of Arms Sir Bernard Burke, B:xP, pg. 439. [S1216] C.B., L.L.D., Ulster King of Arms Sir John Bernard Burke, B:GA, pg. 807. 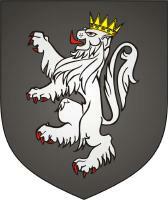 [S603] C.B., LL.D., Ulster King of Arms Sir Bernard Burke, B:xP, pg. 476.
, Braybrooke in "Braybrooke," newsgroup message 1999/06/11, HoP, 1386-1421, II, pp 346-9 Payling, p 37 Burke's EP, p 464.
, Braybrooke in "Braybrooke," newsgroup message 1999/06/11, HoP, 1386-1421, II, pp 343-4 Clutterbuck, III, p 58.
, Braybrooke in "Braybrooke," newsgroup message 1999/06/11, HoP, 1386-1421, II, pp 343-6, III, p 277 & IV, p 1386 Faris, p 286. Mother Margaret de Odingsells2 b. circa 1280? Avice Marmion b. circa 1307? [S1030] Archivist to the Dean and Canons of Windsor Grace Holmes, Order of the Garter, pg. 65. 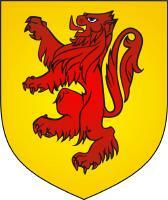 [S603] C.B., LL.D., Ulster King of Arms Sir Bernard Burke, B:xP, pg. 247. 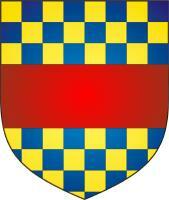 [S603] C.B., LL.D., Ulster King of Arms Sir Bernard Burke, B:xP, pg. 247, 249. [S215] Revised by others later George Edward Cokayne CP, VIII:522. [S1030] Archivist to the Dean and Canons of Windsor Grace Holmes, Order of the Garter, pg. 71. [S1216] C.B., L.L.D., Ulster King of Arms Sir John Bernard Burke, B:GA, pg. 499.